African viviparous toads are endemic to the mountains of Tanzania. Very few specimens have been collected and studied. They are very tiny and some only grow as large as a penny. 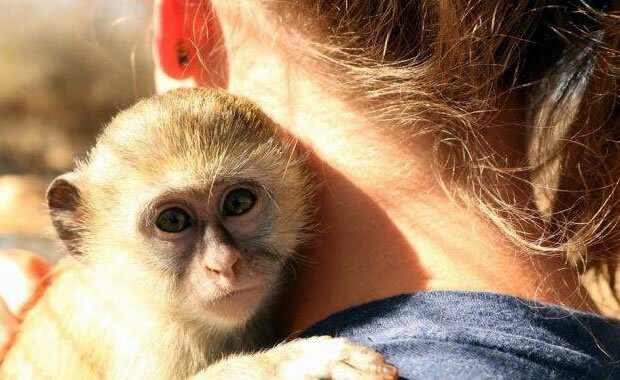 Skin color varies according to species and can appear dark brown to bright orange or yellow. 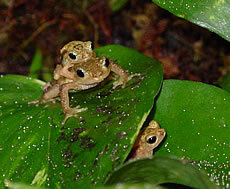 African viviparous toads prefer moist montane rainforest as their habitat. During the day the toads seem to prefer to sit on leaves and at night they hide on the ground under fallen trees and coarse wood debris. Little is known about their breeding behavior. African viviparous toads are one of the very few species of frogs that gives birth to live young, and they are the only "toads" in the world that do not lay eggs. Seven species of African viviparious toad are listed as endangered with the US FWS: N. asperginis or the Kihansi Spray Toad, found in the Udzungwa Mountains, N. cryptus or the Secret Tree Toad, found in the Uluguru Mountains, N. minutus or the Minute Tree Toad, found in the Uluguru Mountains, N. poyntoni, found in the Udzungwa Mountains, N. tornieri or the Tornier's Tree Toad (also known as the Usambara Viviparous Toad), found in the forests of East Usambaras through to the Udzungwas, N. viviparous or the Morogoro Tree Toad, found in the mountains of central to southwestern Tanzania, and N. wendyae or the Uzungwe Scarp Tree Toad, found in the Udzungwa Mountains. The IUCN lists four additional species as endangered: N. laticeps found in the Ukaguru Mountains, N. paulae (critically endangered), found in the Mamiwa-Kisara North Forest Reserve of the Ukaguru Mountains, N. pseudotornieri, found in the Uluguru North Forest Reserve on the eastern slopes of the northern part of the Uluguru Mountains, and N. vestergaardi, found in the West Usambara Mountains. The main threat to the species is habitat loss due to agricultural encroachment, wood extraction, and the expansion of human settlements. Some species can be found and protected in forest and nature reserves in Tanzania. Copyright Notice: This article is licensed under the GNU Free Documentation License. It uses material from the Wikipedia article "Nectophrynoides". Glenn, C. R. 2006. "Earth's Endangered Creatures - African Viviparous Toad Facts" (Online). Accessed 4/19/2019 at http://earthsendangered.com/profile.asp?sp=1665&ID=1. Need more African Viviparous Toad facts?